The bearded 29-year-old enjoyed what he termed “a dream” 7-5, 6-1, 6-0 defeat of Pablo Carreno Busta. 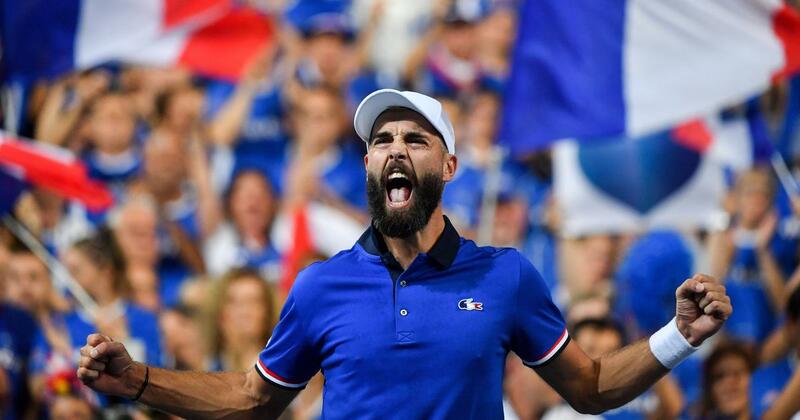 Davis Cup rookie Benoit Paire helped holders France to a 2-0 semi-final lead over Spain with Croatia in command against the United States by the same margin after Friday’s opening singles. France captain Yannick Noah had admitted that handing Paire a Davis Cup debut in a semi-final was “not an easy choice” but the gamble paid off handsomely. The bearded 29-year-old enjoyed what he termed “a dream” 7-5, 6-1, 6-0 defeat of Pablo Carreno Busta to get Noah’s defending champions off to a perfect start in less than two hours. “I’ve waited a long time for this,” said smiled Paire, the world number 54 who showed no signs of the hot-headed streak that cost him a $16,500 fine for an epic three-smashed-racket meltdown in Washington last month. If Paire’s win was straightforward, Lucas Pouille’s nerve-jangling five-set victory over Roberto Bautista-Agut in the following match was anything but. Pouille took to the court at Lille’s Stade Pierre-Mauroy after an indifferent build-up and he struggled to find consistency, his play ranging from the sublime to the not so sublime. Breaking at 5-4 in the finale he still required three match points to put France’s second point up on the board, to the delight of the home fans after a classic three hours and 41 minutes of Davis Cup action. “I thought Luca deserved it, but it was so close,” said Noah. Spain turned up in Lille without Rafael Nadal. 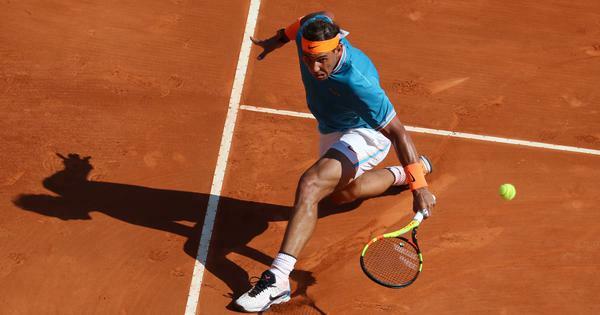 The 17-time Grand Slam champion has helped Spain capture the annual trophy four times, in 2004, 2008, 2009 and 2011, but was ruled out with a knee injury. France are on the brink of their second successive final, with Saturday’s doubles pairing of Julien Benneteau and Nicolas Mahut now in the position of clinching the decisive win against Marcel Granollers and Feliciano Lopez. In the first rubber Borna Coric, world number 18, justified his favourite’s tag and defeated Steve Johnson 6-4, 7-6 (7/4), 6-3. Croatia’s top player and world number six Marin Cilic then defeated Frances Tiafoe, a Davis Cup débutant 6-1, 6-3, 7-6 (7/5). Croatia could clinch their final ticket in Saturday’s doubles in which Ivan Dodig and Mate Pavic will face Mike Bryan and Ryan Harrison. Jim Courier’s team is missing two top players – John Isner, world number 10 who has stayed home due to family reasons, and injured Jack Sock.